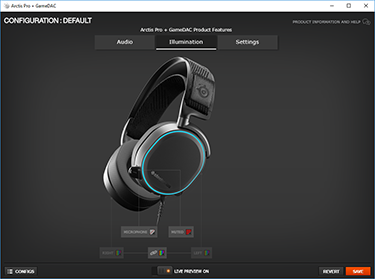 Audiophile-grade sound quality from a gaming headset. That's the dream peddled by manufacturers with respect to their premium offerings. But history has shown, repeatedly, that gaming and true audio fidelity to be largely mutually exclusive - a £100 headset is routinely trounced by a quality set of headphones from, say, Grado, AKG or Sennheiser. The latest in a long line of gaming cans to take up the audio challenge is from Danish outfit SteelSeries. 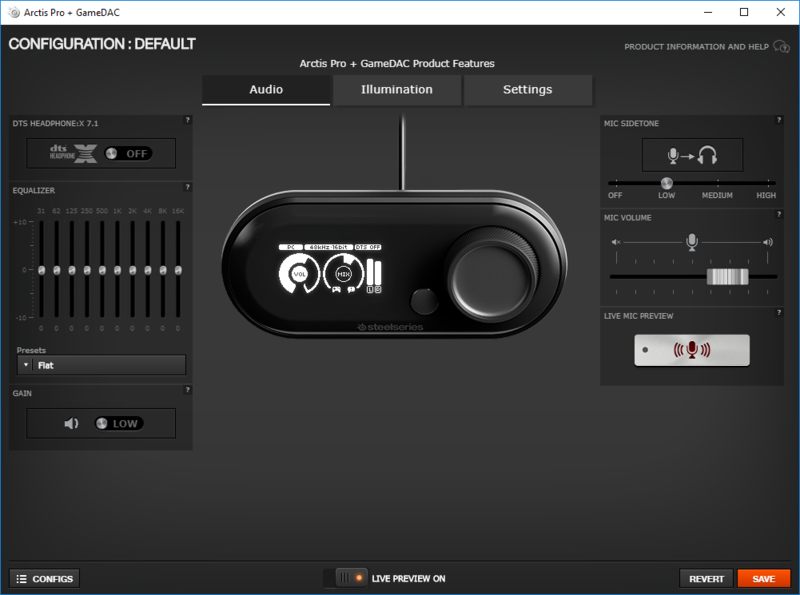 Building on the Arctis 7 range from last year, in style and substance, is the Arctis Pro line comprising the £180 base model, a £300 wireless solution and a £250 intermediary that ships with a digital-to-analogue converter (DAC). It's this Arctis Pro + GameDAC that's in for review today. 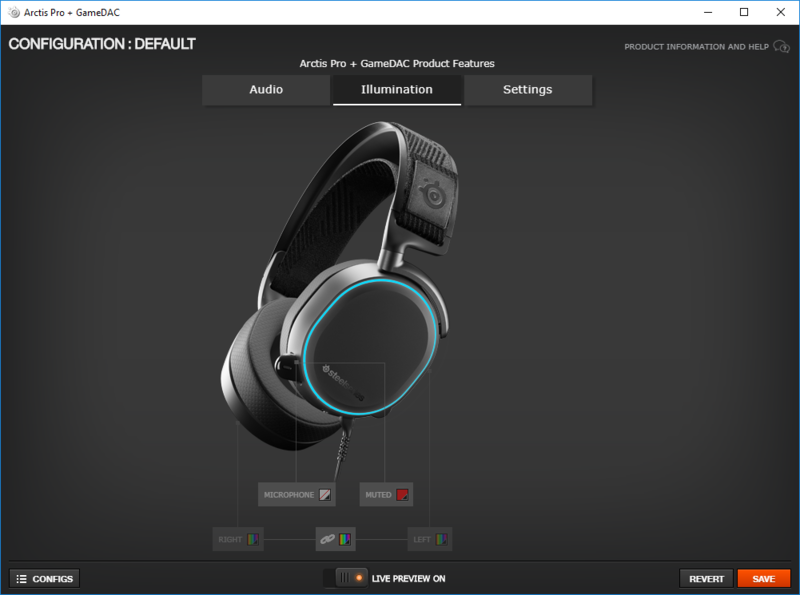 We'll get on to why and how the DAC builds on the audio experience, but let's take a gander at the headset first. 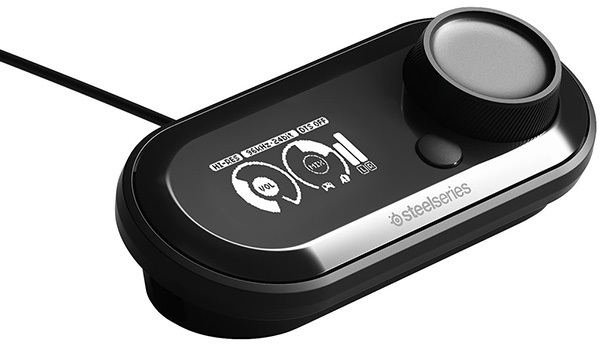 Straight off the bat, it's clear that SteelSeries knows how to make an attractive, comfortable gaming headset. It's understated without looking cheap, with a high-quality matte finish to the steel headband and plastic, fully-articulated cups. Unlike most, the 350g Arctis Pro doesn't use micro-adjustable sides for fine-tuning fit on your noggin. 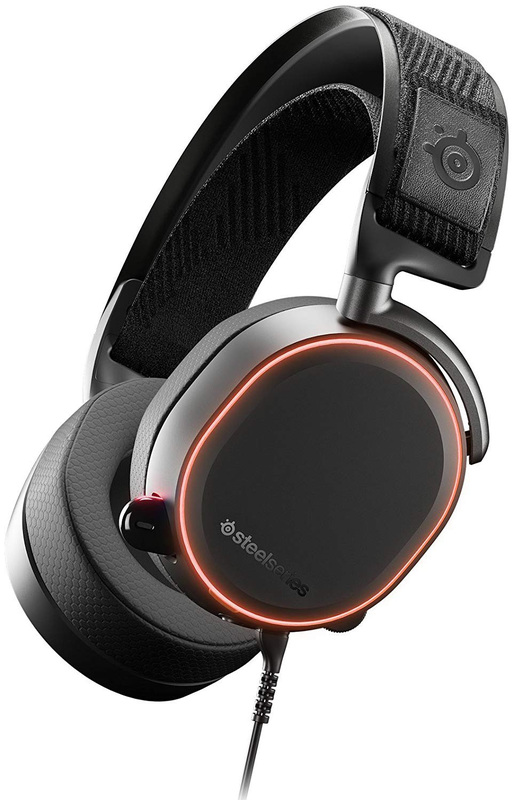 Rather, around the main steel section connecting the earcups there's a second, ski-google-type suspension band adjusted by moving the Velcro fastening - where the SteelSeries logo is shown above - to exactly the right spot. Adjustments aren't huge, mind, but you can get a really good fit easily. That brings me on to my next point. This is one of the most comfortable gaming headsets around. A combination of the flexible band and super-soft, ear-enveloping cushions feels right, even with a pair of specs on, and you almost forget you're wearing them after a while. As is the case with these types of design, ears do become toasty after a mammoth session, but I had little problem in keeping them on for an entire working day without undue pressure or ill-fit fatigue. The fully-retractable mic is another good idea, and the mechanism works well, enabling exact positioning with ease. Sound quality is top notch, with Skype recipients commenting on the clear audio and intelligent directional pick-up. Don't want to use it? Just push back and it stows away neatly into the left-hand cup: we wonder why more companies don't adopt this method. That said, even the stowed tip remains visible, so some may prefer a detachable mic instead, especially if venturing, dare we say, outside. Keeping the minimalist theme going, SteelSeries has all buttons and inputs on the left-hand side, as well. There's only two, actually, one for muting the microphone - visually identified by a red light on the tip of the microphone - plus a wheel for adjusting the volume. It makes sense here because most gamers, right-handed in nature, won't need to let go of the mouse for a quick volume change. Last but not least, the earcups are ringed with subtle RGB lighting that can be controlled by the SteelSeries Engine app. Each cup's colour can be set independently, which is a nice touch, and though pretty lightweight elsewhere, there's a reasonable amount of settings for the GameDAC itself. Time we spoke about that. Audio enthusiasts will know all about DACs; many cost hundreds of pounds, so what's the score? The purpose of a DAC is to enable the best, cleanest signal from a digital source to analogue receiver. Think of it as a high-quality interconnect between hi-fi separates - you don't improve upon the source, but you let it sound the best it possibly can by eliminating interference and noise. SteelSeries houses a 32-bit ESS Sabre 9018 DAC, considered to be premium in the world of hi-fi, though since superseded the 9028 Pro. That said, though a fully-fledged DAC unit is more than just the chip, often with a quality amplifier in tow, the same Sabre 9018 is found in high-quality standalone headphone amplifies such as the £1,000 Oppo HA-1. The way it all works is that the Arctis Pro headset plugs into the OLED box via a proprietary connector. The DAC then plugs into the PC via another proprietary cable ending in a Type-A USB. This means you have two different-ended cables on show at all times, though lengths are decent. Should you want to connect the headset straight to a 3.5mm jack, you either bypass the DAC and use a bundled connector or output via the relevant connector on the side of the box. What this really means is the GameDAC needs to be used for the best audio experience. SteelSeries says the DAC is primed for PC (via USB) and the PS4 console (via a bundled Optical cable coming out of the box). There's no mention of Xbox One, but it works just fine with the same Optical output, and between the two sets of cables there's enough length to game at up to eight feet away from the TV. In terms of functionality, one can adjust the volume, input, level of sidetone, ChatMix, DTS and pseudo surround and, even, the earcup colours without having to run the SteelEngine software. In fact, there's very little you can do on the app that you can't on the OLED box.